Poll: Where Will Kari Lehtonen, Steve Mason Play In 2018-19? Free agent frenzy has come and gone in the NHL, and the market now contains very little of substance for teams to add over the next few weeks. Rick Nash remains the only real impact skater available, though he hasn’t made a decision whether he’s going to play hockey in 2018-19 yet, or at least hasn’t informed anyone. While we wait on more professional tryouts to be given out to the veteran names still out there like Luca Sbisa, Alexei Emelin, Troy Brouwer or Shawn Matthias, there is at least one position that seems to have two perfectly fine options available. Backup goaltenders are more valuable than some people realize around the NHL, given that they play in somewhere around 20-40% of a team’s games during the season. Even the workhorses of the league, Connor Hellebuyck and Cam Talbot, only played 67 games last season leaving 15 to their backup. That’s the extreme low end of what a second netminder may have to face, meaning it’s worthwhile to invest at least a little bit of capital in them before the season begins. On that front, there are two names remaining that stick out right away. With respect to Ondrej Pavelec, who actually had a decent season and likely deserves to also be in contention for another backup role, Kari Lehtonen and Steve Mason are the obvious choices. Both are veteran goaltenders with years of experience starting, and have accumulated Vezina Trophy votes in the past as some of the best goaltenders in the league. Both are also coming off contracts that proved to be way too expensive for their performance, but can still likely help a team in need. The problem is there isn’t a ton of opportunity out there. The New York Rangers, Washington Capitals, Minnesota Wild and Winnipeg Jets stick out as the most likely options, given that they currently have Marek Mazanec, Pheonix Copley, Alex Stalock and Laurent Brossoit penciled into the bottom of the roster. None of those are guaranteed to be worse than Lehtonen or Mason though, plus each team has some other options if they so chose. The Rangers have Alexandar Georgiev that could push for the role, while the Capitals have just brought over Ilya Samsonov. The Wild brought in Andrew Hammond to make sure Stalock stays focused and performing, while the Jets jettisoned Mason because they’ll have Eric Comrie waiting once he signs a contract. So where will Lehtonen and Mason end up playing this season? Is it the end of their career prematurely, or will they find a role somewhere overseas to continue their puck-stopping ways? We’ve included those four teams and a few others that may end up needed another netminder, but if you think another NHL organization will be looking for goaltending help, don’t be afraid to let us know. Cast your vote for each below, and make sure to explain why in the comments. In the annual shuffle when it comes to backup goalies in free agency, Kari Lehtonen appears to be the odd man out. While most goaltenders have found new homes, he still remains unsigned. Here is a closer look at his situation. To put it nicely, Lehtonen failed to live up to the five-year, $29.5MM contract extension he signed just before training camp back in 2012. Dallas believed they were locking up a legitimate starter for that price and while he had some moments where he played like one, he had others where he played like anything but one. 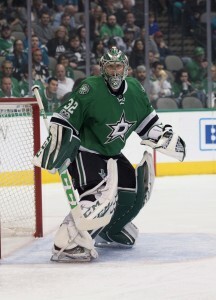 Last offseason, the Stars brought in Ben Bishop via trade to move Lehtonen back into the number two role. While Bishop gave them an upgrade between the pipes, it was the 34-year-old Finn that was in goal down the stretch when Bishop suffered a knee injury in early March. With Dallas in the midst of the playoff race, they were counting on Lehtonen to deliver. Suffice it to say, that didn’t happen. He lost eight of his first nine starts in that role that pretty much took them out of the race (although he was better in his final five appearances of the season). Not surprisingly, Dallas moved quickly in free agency to sign another backup in Anton Khudobin which forced Lehtonen to hit the open market where he currently remains today. While Lehtonen has been miscast as a starter, he has shown that he can handle a larger workload than most backups and when he’s on, he can win a few games by himself. There is a bit of upside in signing him although his performance when he’s not at the top of his game presents some risk as well. The question at this point is who is still in need of a goalie? With most of the goalies having already signed, there aren’t a lot of vacancies left to fill. As things stand, Washington is set to rely on Pheonix Copley, a veteran of two career NHL appearances, as their backup. Part of the reason for doing so is his league minimum cap hit but if Lehtonen is willing to take a cheap one-year deal, he would certainly be an upgrade and provide them with some insurance behind Braden Holtby. In our original projections, we had the Rangers as the landing spot for Lehtonen with Ondrej Pavelec hitting the market (who remains unsigned). New York could opt to go with youngster Alexander Georgiev as the backup to Henrik Lundqvist but considering he is still on his entry-level deal and is waiver-exempt, they may want to bring in a veteran to allow Georgiev to get a bigger workload at the AHL level. With Craig Anderson asking for a trade out of Ottawa earlier this summer, the Senators could be in the market for a second goalie but the trade would have to happen first. Calgary could run with one of Jon Gillies or David Rittich as their backup but if they want a veteran, Lehtonen would likely be of interest. Their salary cap situation may dictate which way they go for their number two as they still have several players to re-sign. Given the nightmares Vegas had with goalie injuries last year, it wouldn’t be entirely shocking if they brought in another goalie but that might be more of a training camp PTO than a guaranteed contract at this time. Lehtonen ranked 33rd on our Top 50 UFA list with a projected one-year, $2.5MM contract. We had him being part of the July 1st shuffle of goaltenders and several that signed that day landed deals around that amount. With most of those spots gone, it’s highly unlikely that he will be able to come close to that deal now. With other veterans still on the market (including Pavelec and Steve Mason), Lehtonen will now have to settle for something closer to $1MM at most if he wants to get a deal done in the next couple of months. With the trade of goaltender Steve Mason this morning to open up some cap space, the Winnipeg Jets find themselves with a sudden hole in their lineup as the team no longer has a viable backup goaltender behind starter Connor Hellybuyck. Their top goalie out of the AHL, Michael Hutchinson, is already an unrestricted free agent and likely to move on, while the next in line is Eric Comrie, who has a total of four NHL games to his name. That will force the cap-saving Jets to find a cheap solution on the free agent market. A few days behind in the recruiting market, many of those backup options are already off the board, such as Carter Hutton (Buffalo), Jonathan Bernier (Detroit) and Cam Ward (Chicago). The Winnipeg Sun’s Ken Wiebe writes there are options out there, suggesting the team look at some under-the-radar goaltenders who struggled a year ago. Tops on his list is former Buffalo Sabres netminder Chad Johnson, who struggled last year in Buffalo with a 3.55 and a .891 save percentage. However, the 32-year-old was behind one of the worst defenses in the league, while the Jets’ offense could easily protect Johnson better. 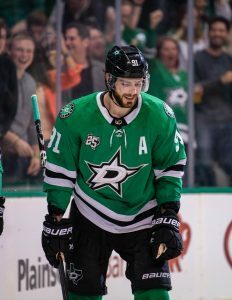 Sean Shapiro of The Athletic writes that extension talks between the Dallas Stars and Tyler Seguin can’t even start until after John Tavares signs a contract and sets the market. Whatever Tavares gets will be the starting point for negotiations between the two parties. 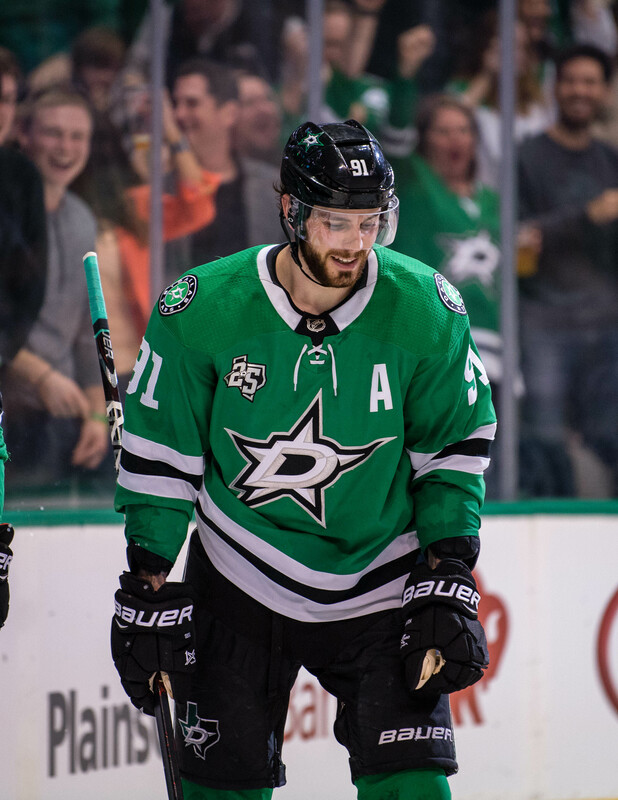 Seguin, who is eligible to sign an extension starting tomorrow, put up a career-high 40 goals for the Stars. However, the 26-year-old can also opt to become a free agency next year in a similar fashion to what Tavares is doing now. Dallas has made it clear they want to lock the center up long-term. 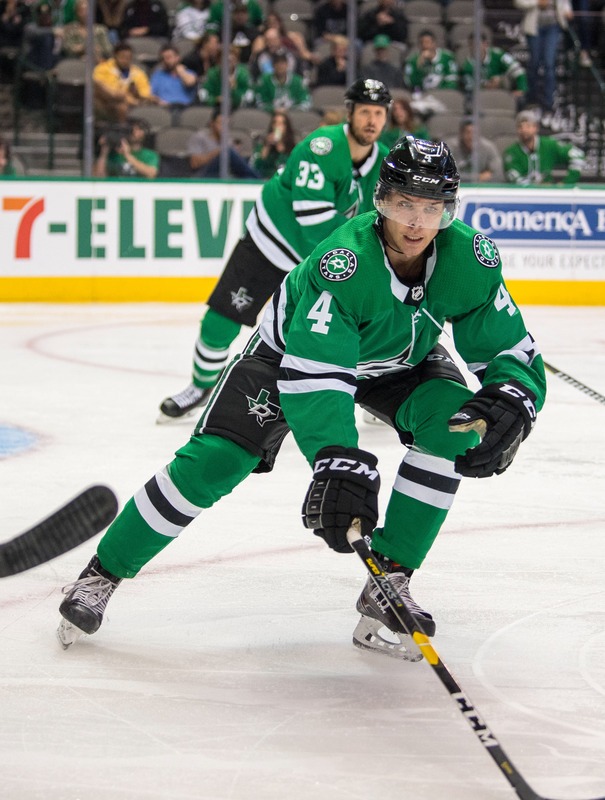 Former Dallas Stars goaltender Kari Lehtonen and current unrestricted free agent could be an interesting watch, according to Fox Sports Andy Strickland. The 34-year-old backup was interested in joining the Boston Bruins as a backup to Tuuka Rask, but now doesn’t seem likely. While there has been some interest from some Western Conference teams, he could choose to retire if the right opportunity doesn’t present itself. Lehtonen finished last season with a pedestrian 2.56 GAA and a .912 save percentage as a backup for the Stars. The Athletic’s Michael Russo writes the Minnesota Wild have had conversations with free agent center Eric Fehr. The 32-year-old veteran had trouble cracking the Toronto Maple Leafs lineup this year and was eventually traded to the San Jose Sharks for a 2020 seventh-round pick, but made an impression centering the team’s fourth line. He put up three goals in 14 games and played in 10 playoff games. The scribe also writes that he doubts Fehr ends up in Minnesota. Despite rumors that the Vancouver Canucks were closing in on an agreement with unrestricted free agent center Jay Beagle yesterday, Rick Dhaliwal of Sportsnet reports that the market for Beagle is increasing and driving up his pricetag. Vancouver remains quite interested in signing the veteran and are very, very much in the race to acquire him.